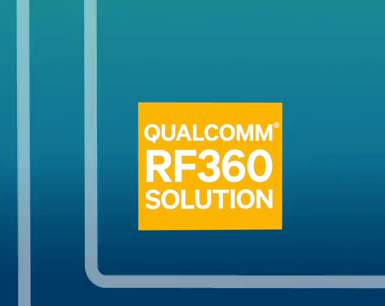 Qualcomm Announces 4G chip called RF360, which has the advantage of being compatible with all bands 4G/LTE world. The sinews of war for a supplier in the radio is able to offer equipment that is used in the world, a sort of techno-chip agnostic. For the fourth generation mobile no supplier had not yet been able to resolve this problem, since the whole point is to concentrate all these frequencies in a chip, while maintaining the lowest possible consumption in a small space. Qualcomm has clearly meet this challenge with a chip called RF360. Obviously, this is good news for manufacturers of smartphones, especially those already associated with Qualcomm. Now, no question of leaving multiple versions "localized" in a mobile frequencies that will feature support. With such a chip, Apple, for example, would have been able to offer its 4G-compatible iPhone 5 in all countries of the world, which is not the case. Which would have prevented his troubles in Australia because of mention on his latest 4G iPad inappropriate. In all, the RF360 chip Qualcomm covers forty bands from 700 to 2700 MHz. It should be quickly integrated on Snapdragon SoC brand, "from the second half of 2013".